That’s the stark findings of the latest report from India-based Conservation Action Trust and Urban Emissions . 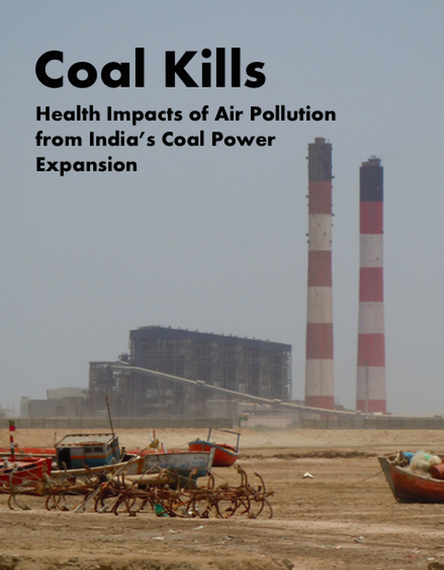 A year ago, these groups released a groundbreaking report that estimated for the first time the human toll from India’s dirtiest fuel source. They found a shocking 80,000-115,000 people were dying every year as a result of air pollution from coal-fired power plants. But this time around they have much more dire news. 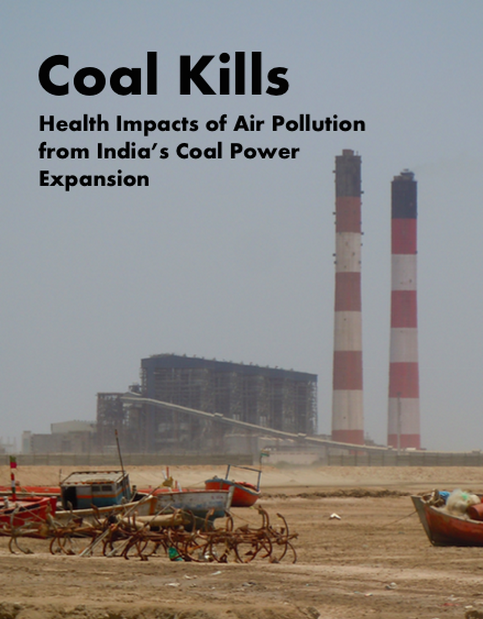 Their new report has found that if all proposed coal plants are built, India is facing up to 229,000 annual deaths – a 100 percent increase. Yes, you read that right, China — home to the original “airpocalypse” — has stronger coal plant pollution standards than India. It turns out Indian standards are quite literally off the charts (Check out the comparison below). 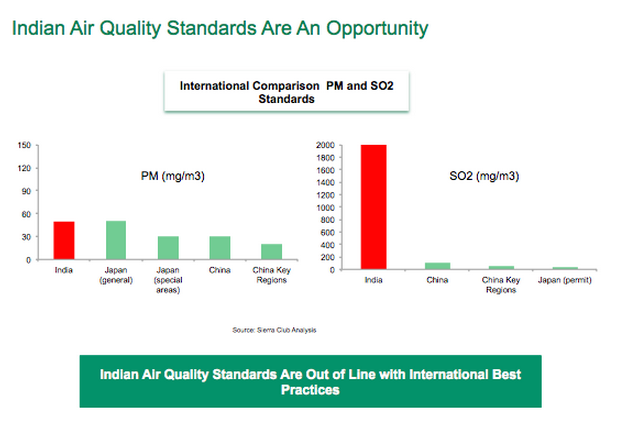 That’s because India doesn’t even have coal plant pollution standards for sulfur dioxide or nitrogen oxides – both of which lead to deadly Particulate Matter (PM) 2.5 pollution (A quick note: Since India does not have actual standards, the charts below use ‘nominal’ figures to show what emissions from an uncontrolled coal plant might look like). Even worse though, the standards India does employ for particulate matter are nearly two times worse than their Chinese counterparts (see the chart on PM emissions referenced above). It’s also widely known that monitoring and implementation of these weak standards is next to non-existent. But while resistance may be brewing, it’s quite clear Prime Minister Narendra Modi runs the show. That means that all the increased pressure for India to adjust its increasingly anachronistic stance on coal falls at his feet. With world leaders meeting this week in Lima, Peru at the annual United Nations Conference of Parties (COP) — COP20 — on the road to a potential climate deal next year in Paris at the COP21, the world is wondering will Prime Minister Modi rise to the challenge? The truth is that the looming airpocalypse in India puts the world in a very interesting place. The international pressure Prime Minister Modi now faces was largely made possible by China’s own struggles with air pollution, which played a dramatic and decisive role in enabling the country’s leadership to establish strict new curbs on coal use and sign a landmark deal with the United States on climate. In essence, air pollution unlocked action on climate. Already, interesting signs are afoot that Prime Minister Modi will move. President Obama is planning to visit on the country’s Republic Day, spurring rumors of a new announcement on a peaking year for greenhouse gas emissions ahead of his visit. At the same time, new air pollution standards for coal plants are rumored to be coming soon. Both of these would provide a serious means for addressing this issue.